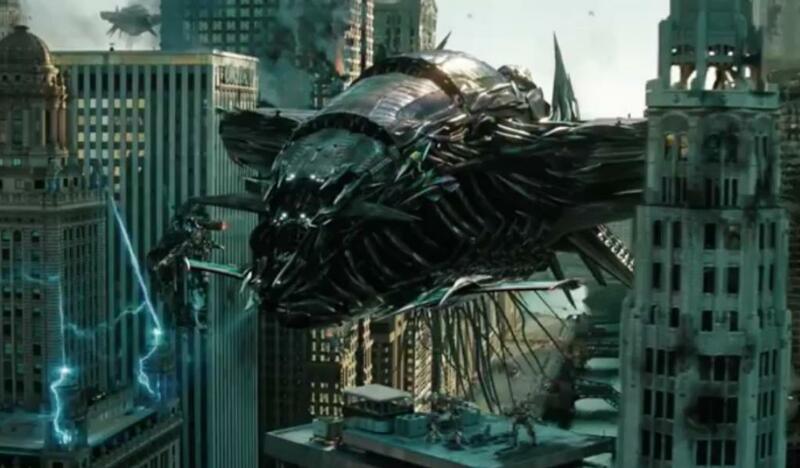 Maybe the best Transformers Trailer since the first movie came out. The third movie looks to have everything the first two movie promised. Being a fan of the Fox I’m a little disappointed Megan wont be back for Transformers 3 and a little surprised they replaced her with someone who hasn’t acted before. Rosie Huntington-Whiteley aka Megan Fox’s Replacement hasn’t had a line in any of the trailers and probably won’t have much to say in the movie but she does look pretty hot so that makes up for it. Less of the rant and back to the trailer. To be honest it looks amazing. We have a helicopter that transformers into a giant Dragon, A moon which sheds hundreds of some of the most evil looking Transformers to date and Optimus Prime cutting smaller robots up with an axe while spinning around with wings on his back. If this isn’t the best trailer in the world ever I don’t know what is. I’m not sure how the movie will end but Michael Bay has said this will likely end the franchise making it hard for another sequel and it’s going to be shot in full HD 3D technology. That said I can’t wait for this one maybe more than the Avengers at the moment.